We’re a small hotel with a big pool. Perched above Beirut, our pool is 16 meters long. Enjoy summer in the city poolside. 1,000 m2 of relaxation and wellness to open in 2020. We are currently building out our gym. In the meantime, hotel guests have complimentary access to a nearby health and fitness facility. The Albergo’s restaurant is located on the 9th floor of the hotel. The menu is Mediterranean, with a penchant towards Italian. 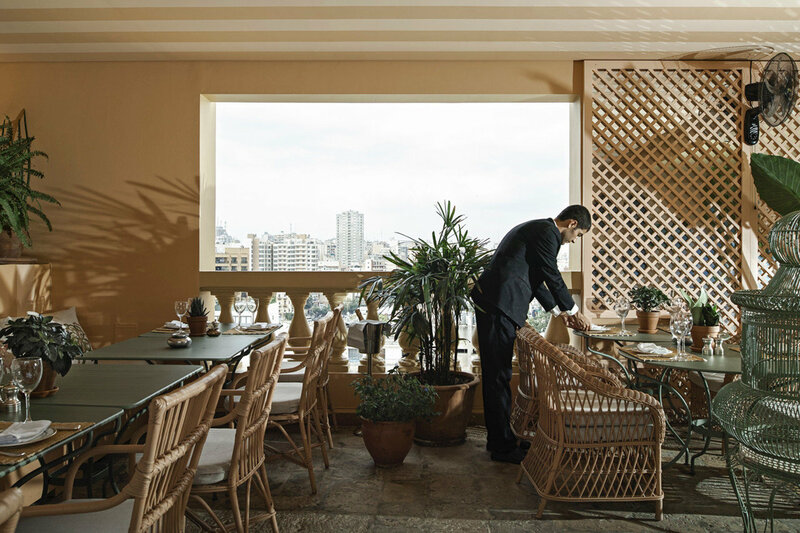 Perfect for Beirut mornings, lazy lunches and sultry summer nights; pull up a chair in our green oasis in the heart of the city. With sweeping views of Beirut’s skyline, the pool bar is a great spot to watch the sunset while enjoying a few cocktails. A stone’s throw from downtown, the Albergo is a sanctuary of luxury and the only Relais & Châteaux property in the country. Discover our sister hotel in Paris, the Daniel has the intimacy of a private house filled with character and personality. Adjacent to our lobby, the drawing room is great for presentations, corporate meetings or product launches. Our veranda fits up to 30 people. Perfect for intimate and not-so-intimate dinners, breezy lunches and sunset cocktail parties. The pool terrace can accommodate seated dinners or large-scale cocktail receptions with a wide variety of set-up options. 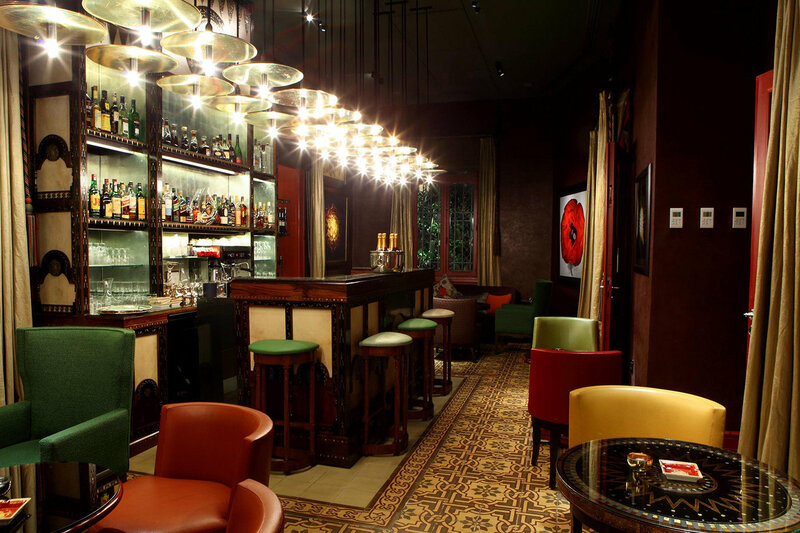 The Albergo offers unique indoor and outdoor meeting, event and private dining space. State-of-the-art audio and visual equipment and turn-key event planning services are available, along with specially- catered menus. Please contact our special events team sales@albergobeirut.com. Adjacent to our lobby, the drawing room fits around 16 people in a boardroom setting or up to 30 in a more relaxed setting. Great for presentations, corporate meetings or product launches. The mise-en-scène is ready: striped ceilings, embroidered pillows and pastel colors set the stage. Our veranda fits up to 30 people and is located on the terrace floor. Perfect for intimate and not-so-intimate dinners, breezy lunches and sunset cocktail parties. Roofed but open air, cool in summer and dry in winter, a room for all seasons. 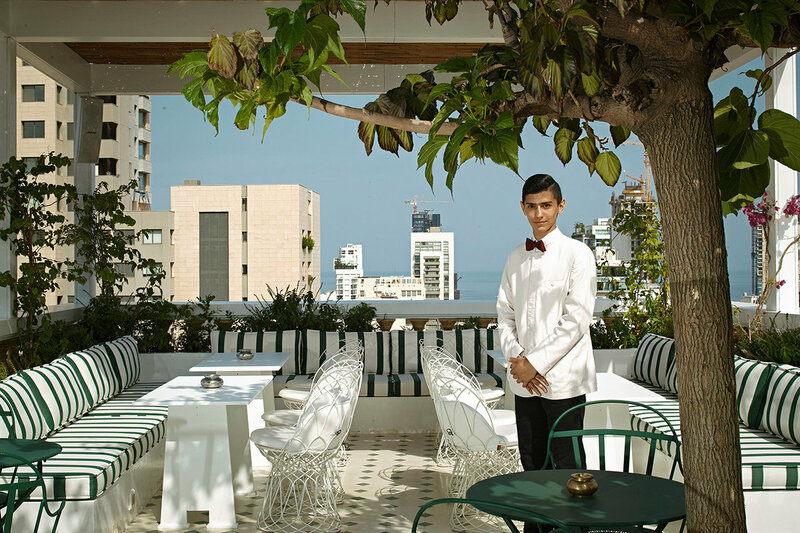 With sweeping views of Beirut’s skyline and the city expanse below, the pool terrace features a, cocktail bar, and lushly landscaped pool area. Can accommodate seated dinners or large-scale cocktail receptions with a wide variety of set-up options.